"We just moved from Florida to Wisconsin and had all our belongings in a POD. After being in Madison for almost 3 weeks, PODS told us the earliest they could deliver was July 5th! We contacted Above Average about retrieving the items from the POD and having them deliver to our new place. 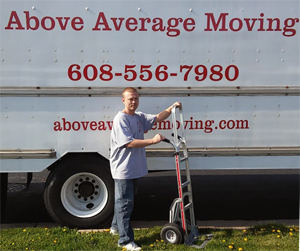 They were am..."
At Above Average, our experienced Movers in Madison WI keep prices low. You’ll get a great value for your move, an estimate up front, and we’ll never surprise you with unexpected charges. From the time we give you an estimate to the time that our Madison movers wave goodbye, our goal is to minimize the inconvenience of moving. Do you have a pool table? Exercise equipment? Fine art? Our movers in Madison WI know how to pack and handle these valuable items. We are movers in Madison WI but we serve all of Wisconsin, northern Illinois, eastern Minnesota, and Iowa. If your community is not listed below, please give us a call to see if our Madison movers can help you with your next move. 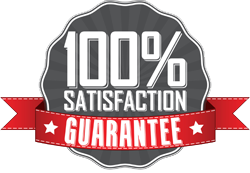 Call today and get the most courteous service from the best movers in Madison WI.